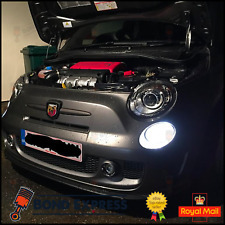 You are purchasing a paid of Super Bright 57 SMD LED DRL Lights for a Fiat 500. Simply fit between the DRL /- wires to prevent the dash error from appearing. 2 x Super Bright LED DRL Light Bulbs. These are super bright 57 SMD LED Chip Bulbs, you will not find brighter! Listing is for 2x 7443 60x 3528 switchback bulbs. Type 1 switchback bulbs. Same fitment as:7443, W21/ 5W, T20. Bright white light - Rated 6000k. 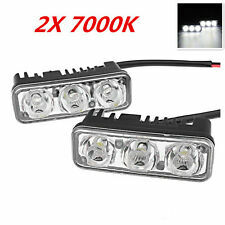 • LED light Color: White 7000K. » 1x Connecting Wire with built-in Fuse. • Universal usage to be mounted on the bull-bar, roof rail, grille, bumper. • Number of LED: 3 x LED(Each Light). • Each light with 3 SMD LEDs very strong and bright white light. DRL Can be function as LED Fog Light, but On/Off Switch is not included. It would also improve the look of your car to a more luxurious look. DEPTH - 33mm. -Enhance overall appearance with extra cool white beam (6000K) with modern style. MERCEDES CLK CHROME DRL HEADLIGHTS. 2007-2010 Mini cooper R56 R57 S. Fits Mini Cooper R56-S MINI Cooper S Hatchback: 2007, 2008, 2009, 2010. 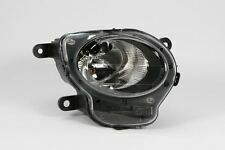 Our fog light model only fits for Pre-facelift Mini Cooper 06-10. R57-S MINI Cooper S Convertible: 2009, 2010. • SEAT Leon MK3 12-. SEAT Dynamic LED Mirror Indicator Kit. • Latest Dynamic Technology to give a smooth, sweeping indicator style (similar to modern Audi's). • x2 Dynamic Mirror Indicator Units. • Premium dynamic LED conversion kit to enhance your vehicle. Compatible:3157?. 3057 3155 3357 3457 3757 4057 4157 3056 3456 4156 3157A 3157. High quality heat resistant nylon socket harness. 3157/4157wiring harness with pre-wired female socket. Pre-Wired socket for Easy Plug and Play Installation. KAWELL- Let Hi-tech Light up Your Way. Why Choose Kawell Light?. Power: 9W x 10,110Lm,8000-10000K. Low Power Consumption and High Brightness. Ultra thin design. Long thread design. Waterproof, dustproof and shockproof design, durable, desirable and fits most vehicles. Note: Installing DRL without rectangular factory fitted fog light. will result in a rectangular opening for the fog light. If you have the circular/rounded factory fog light shown below, you may wish to consider a similar DRL by following the link below. 2 pcs x LED Lights. Model: Universal;. Long Life;. Colour: White;. Easy installation. Extra bright and energy saving. • Citroen Xsara Picasso 04-10. • Citroen C4 Picasso 07-13. • Citroen C4 Grand Picasso (Type UA) 08-16. • Citroen C4 04-11. • Citroen C3 05-09. • Citroen C3 (Type A51) 10-14. • Citroen C5 04-08. • Citroen C6 05-. Manufacturer:HQ Automotive. Power of a light-beam: 1W CREE. Light Chip:CREE LED. Our lights are manufactured to the highest standards by HQ Auto Lighting UK. Relay: Continuous lighting automatic switch on/off also DIMM function. DRL relay is compatible with any car and every kind of DRL. DIMM function (yellow wire). Relay is equipped with following functions. Power of per Light-bead: 1W CREE. Light Chip: CREE LED. Our lights are manufactured to the highest standards by HQ Auto Lighting UK. Colour temperature 6500K. NO dashboard errors, possibility to connect few power sources (doors, sidelights, interior lights, ignition). 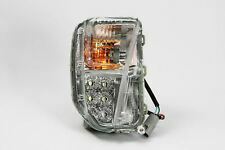 Porsche Cayenne LED DRL Indicator Kit (Clear). 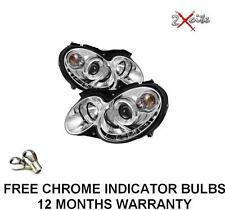 • x2 LED DRL Indicator Units (Clear). • Porsche Cayenne 06-10. • 1 year manufacturers warranty. Will It Fit My Vehicle?. Fast dispatch. WHY BUY FROM US. Product images are for illustrative purposes only and may differ from the actual product. Due to differences in monitors, colours of products may also appear different to those shown on the site. Our 45 years in the industry has also seen us develop a close affiliation with various manufacturers and stakeholders in Thailand for which we are able to utilize and source out the best possible price for your desired product anywhere in Thailand and distribute worldwide. AUDI TT 99-07 BLACK DRL HEADLIGHTS. 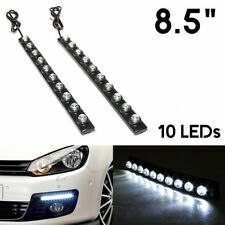 You are purchasing a pair of Super Bright 19 SMD LED DRL Lights for a Vauxhall Insignia. 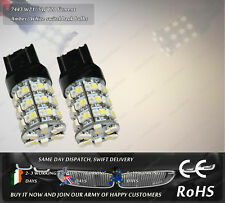 2 x 60 SMD LED DRL Light Bulbs. Life Span: 50000 hours in average. All the LED’s are plug-and-play – no modification required – just swap out the bulbs. Emit 6700K xenon HID super White color, long lasting life. Color temperature: 6700K. Enhance total appearances Extra cool white beam enhances to total appearance to your car. Yellow wire = Amber Light (Turn Signal Light). Light Color: Xenon White;. 2 pcs x LED Lights. Depth: 60mm. Mounting bracket and screws included. • Volkswagen Golf MK7 12-. Volkswagen Dynamic LED Mirror Indicator Kit. • Latest Dynamic Technology to give a smooth, sweeping indicator style (similar to modern Audi's). • x2 Dynamic Mirror Indicator Units. The experts in Automotive Lighting. - Sold individually: left, passenger, near side. Rear Lights. - OEM part numbers for reference only is 51786772. As lighting is our specialty, if you're unsure of anything - we are always here to help. Light Color: Xenon White;. 2 pcs x LED Lights. Number of LEDs: 18 LEDs in each Lamp;. Material: Black Plastic Housing;. Depth: 35mm. • Extra cool white beam enhances the total appearance of your car. • Universal fit to all types of Auto Vehicle Truck Van SUV ATV Motorcycle Bike that is with 12V, such as: Chevy Volkswagen Dodge Nissan Kia Porsche Toyota Mitsubishi Honda Audi Benz Infiniti. Front indicator with DRL for Toyota Prius 2012-2015 - Clear front indicator with LED DRL. - Sold individually: left, passenger, near side. Rear Lights. - LED bulb included only. - Body type: Hatchback. Wiring Harness With Easy Connections To Positive, Earth & Sidelight. 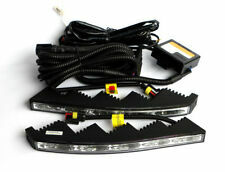 For VW T5 Light Bar DRL Kit. Fits All T5's 2010 - 2015. 2 x E Marked DRL Lights (far superior to others being sold). to headlights they will dim to half the brightness. • Ford Focus Mk2.5 (2008 2011) Includes ST Models. • Ford Focus Mk3 (2011 - 2014) Includes ST & RS Models. 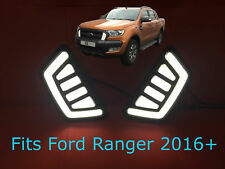 Ford Canbus LED Fog Lights Angel Eye DRL Kit. • Enhance your vehicle with the complete LED Fog light and DRL Conversion. 6000K colour. Excellent design and quality. LAND ROVER DEFENDER 90/. Conversion Parts Conversion Accessories. /130 FRONT BUMPER WITH INTEGRATED LED LIGHTS. MANUFACTURED FOR BRITPART 24 MONTHS GAURENTEE. Getting your new products to your door is our No1 priority. Suitable For Various W204 C-Class C63 Models. Front DRL light for VW Passat 2011-2013 The experts in Automotive Lighting. - Sold individually: left, passenger, near side. Rear Lights. - Body type: Saloon, Estate. - OEM part number for reference only is 3AA 941661. Advanced constant current technology, well-distributed luminescence. Brightness: 90-120LM/W. Waterproof: With reverse polarity protection and open circuit protection. The blue wire connected to the headlight anode . Red wire Connect the positive ,theblack wire connect the negative,Y ellow wire to Strobe mode. 2pcs x 20 LED Strobe Light. Look specially. • Ultra slim, super bright with surface mount. -Color :Yellow. The product also can make The low Version of Q7 Upgrade to High Q7,05-10 Q7 Upgrade to 10-15 Q7. Fit For Audi Q7. Making your car looks more beautiful while enhances the safety performance. 7, Protection Features: Reverse Polarity Protection, Open Circuit Protection. 6pcs White Led in each DRL. DRL Lamp: LED. 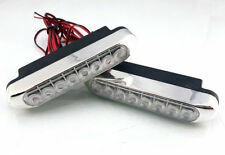 1 Pair Front Bumper Fog Light Grilles With LED. Fog Light Lamp:Bulb. Led Quantity: 6. Light Color: White. Lens Color: Clear. 2004-2008 Jaguar S-Type X-Type 09-10 XK. 6000K Xenon White. Pair Exclusive Direct fog light direct fit for Ford and other model. The LED is polar sensitive, if the LED is not lighting up, switch the two wires around. VW T5 BLACK DRL HEADLIGHTS. BMW E71 X6 2008-2013 with fog lights. 6000K Xenon White. The LED is polar sensitive, if the LED is not lighting up, switch the two wires around. high power LED white lights on each piece. quantity: 2pcs light for both left and right sides. The DRL lights on the Evoque are not that striking so these DRL lights actually look more distinctive than the in headlight DRL lights. Range Rover Evoque (2011- 2015). How to remove the front bumper on a Range Rover Evoque - YouTube. DRL covers made from ABS plastic. Drl harness & module. Great quality and design. Plug & play design. The experts in Automotive Lighting. - Sold individually: right, driver, off side. Rear Lights. We will dispatch your item as soon as we can. Help & FAQs. Add to Favourites. Get Help & Advice. - Covered by a 12 month manufacturer warranty.